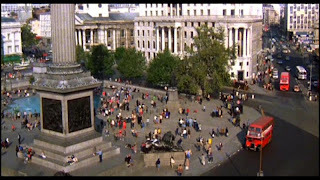 To Europe With Kids presents Movie Monday as a weekly feature to recommend films that might expose children and their families to any small bit of European history, folklore, scenery, or animated imagery as entertainment, perhaps new knowledge, or just a couple of hours of electronic babysitting. 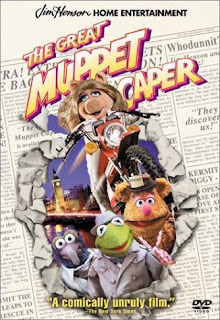 Jim Henson’s The Great Muppet Caper is definitely a fun family film to watch together anytime, but might be particularly illuminating to very young children preparing to travel overseas for the first time. When Kermit and Fozzie are sent to London as newspaper reporters to cover a jewel theft, they travel in an airplane (in ninth class! ), try new foods, stay in a (seedy) hotel, and find the humor in the British, making it a zany way to introduce your kids to a foreign adventure. This 1981 movie was actually filmed in jolly ol' England, mostly in a studio but also in the village of Haddenham in Buckinghamshire and in Knebworth House, a beautiful gothic mansion north of London. The action-adventure is entertaining and the music numbers are memorable. Watch the trailer here. 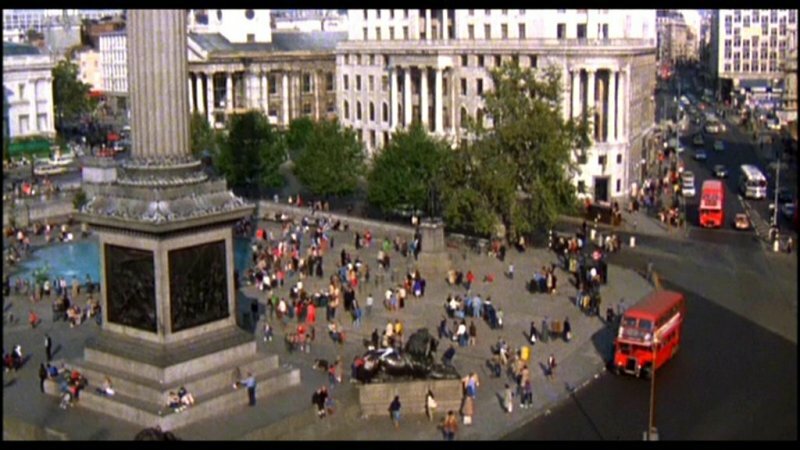 Scene from the movie in London. I love the muppets! Animal was my favorite :). Happy Belated Mommy's Day. Thanks for stopping in. I worked a double so didn't get to wish it like I wanted to :). Hope your day was great.